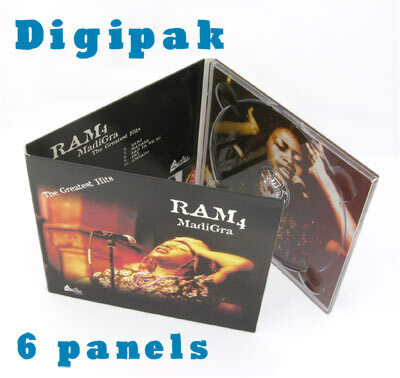 2 panel cardboard sleeves or mini-jackets are printed on white cardboard and then die cut and glued - they're like a mini record jacket. 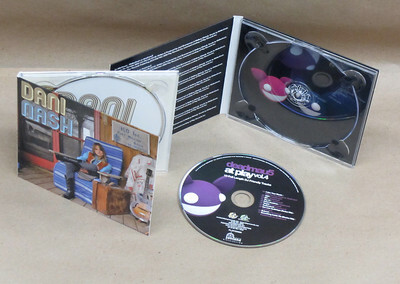 The CD slides in from the side. 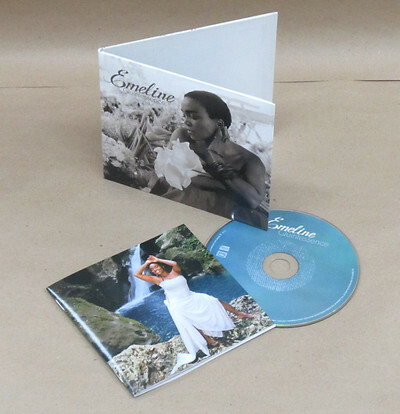 Pictured: Emeline Michel (2013) 4 panel sleeve, offset-printed CD, and additional 32 page full-colour booklet. 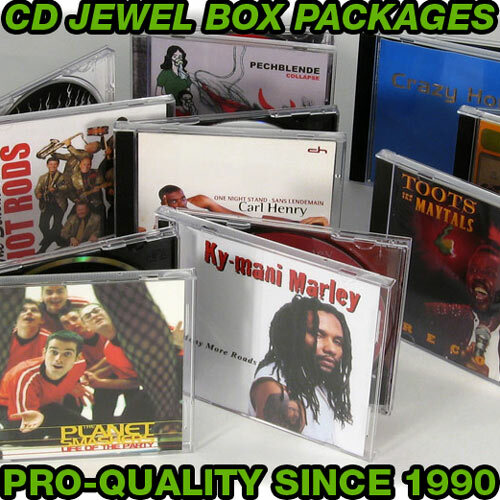 The classic jewel box is still a cost-effective and popular option. 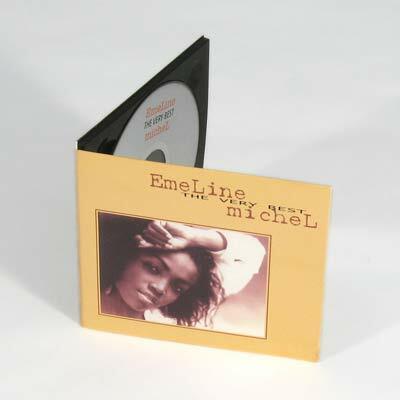 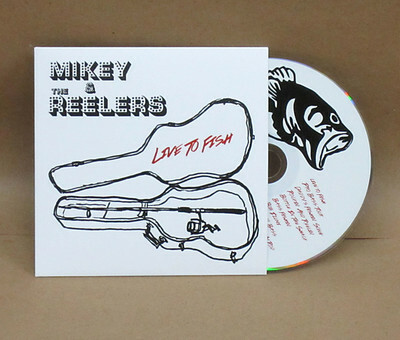 Includes a front CD cover or booklet as well as a traycard which goes behind the CD. 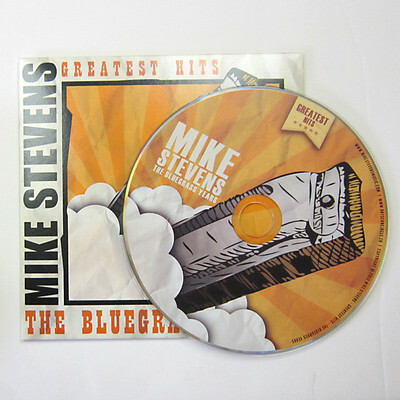 The paper printing is full colour everywhere (ie 4/4 or recto-verso printing).